Day five for sketching is favourite book characters. I couldn’t choose between two. 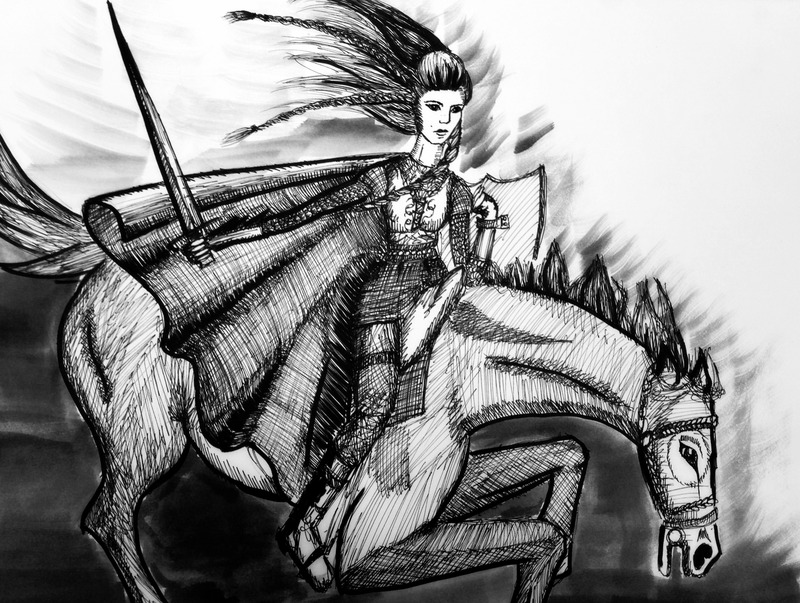 The first is Eowyn, Shieldmaiden of Rohan who has an awesome horse called Windfola and disguises herself as a bloke (going by Durnhelm) to go to the battle of Pelennor fields outside Minas Tirith. Now I bet this all sounds a bit Tolkein-nerd but let me get to the point. I love Eowyn because she is what MacDuff in Macbeth was not. I always thought it was a cop-out, so years after studying MacBeth when I finally got around to really reading LOTR, I was stoked to see this same fictional concept carried to its own conclusion. That is, if you can’t be killed by a “man of woman born,” you can of course be killed by a woman. Eowyn “I am no man” the shieldmaiden. Go sister. 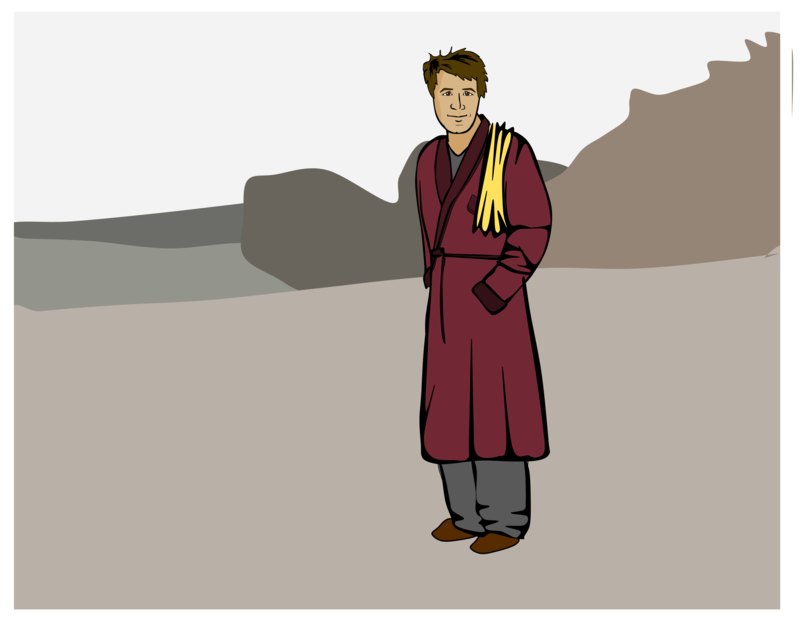 My next favourite fictional character is Arthur Dent. HHGTTG is the only book I can think of where the plot (for what there is of it) plays very much a second fiddle to the concepts in the film. Now, here’s something I bet you didn’t know: The Great Douglas Adams wrote original, unpublished text for the word-based adventure game released during the 80s. It was, by far, the most difficult computer came I ever attempted and kind of continues to be. But it has a whole new world of hilarity because there are lines in the game that appear no where in the books or radio shows. My favourite is the description of the sandwich, but it’s quite hard to escape being struck in the head by a brick and dying. Anyway, I digress. Here is Arthur, as I imagine him.